What's this? 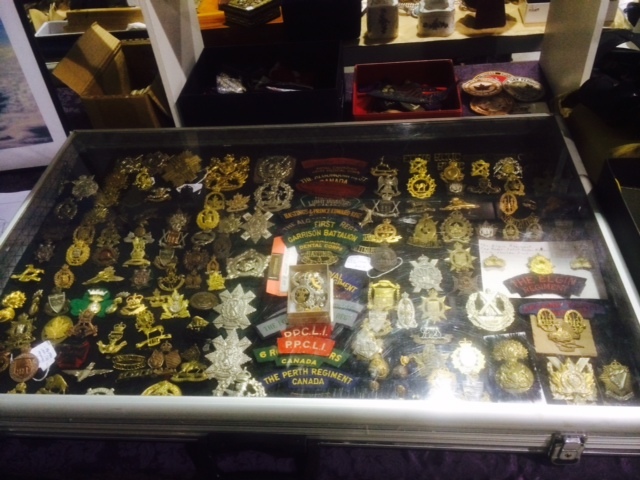 Do you have one for sale? A bud of mine is looking or one,unsure what it is though. Let me know,thanks! 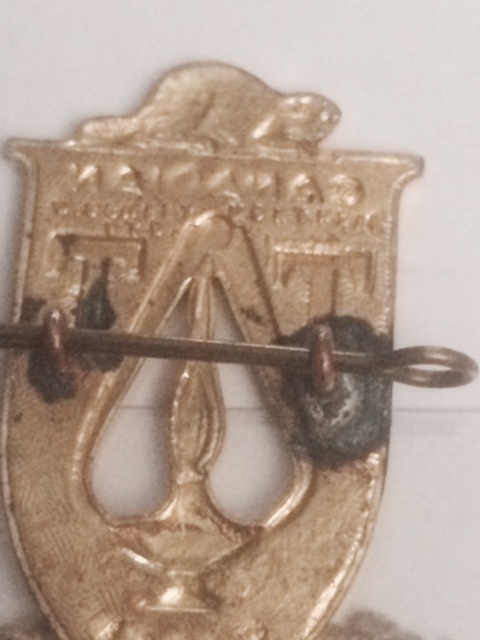 Re: What's this? Do you have one for sale? 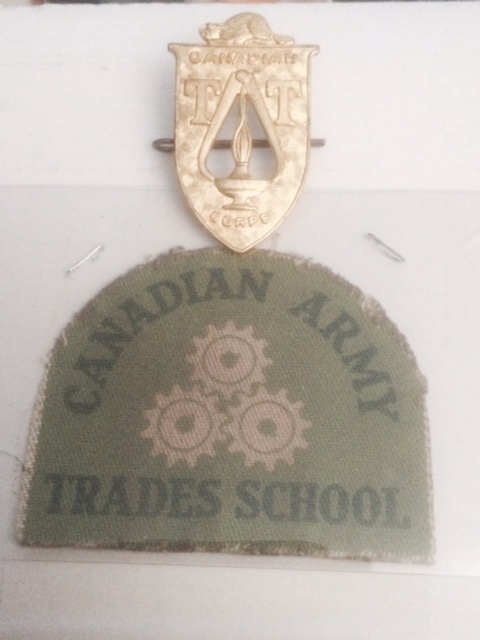 Canadian Technical Training Corps cap badge. I have a spare as well, and a canvas flash and cloth flash around here somewhere, some pics of my display at the Fort McLeod show. 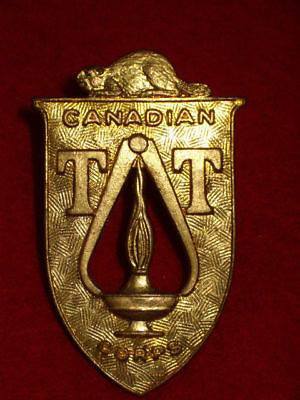 I have heard that this badge was also made by the CTTC, it was a test of the skill of the student. 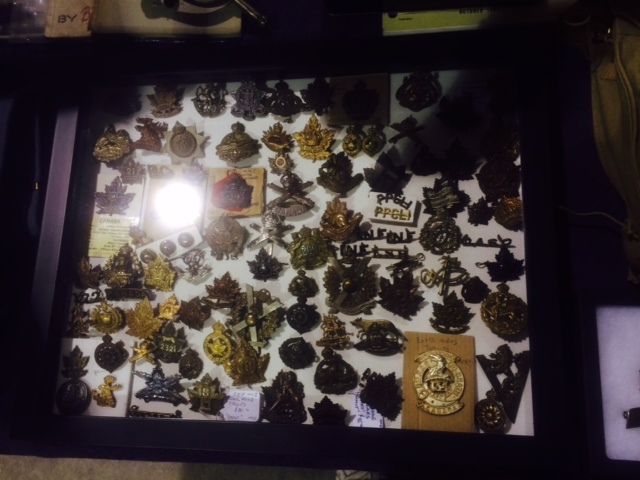 I have only seen one once, it was handmade and had no stamping on the back, but made from the same type of stamped brass. I wonder if the student had to make a die then stamp the badge. 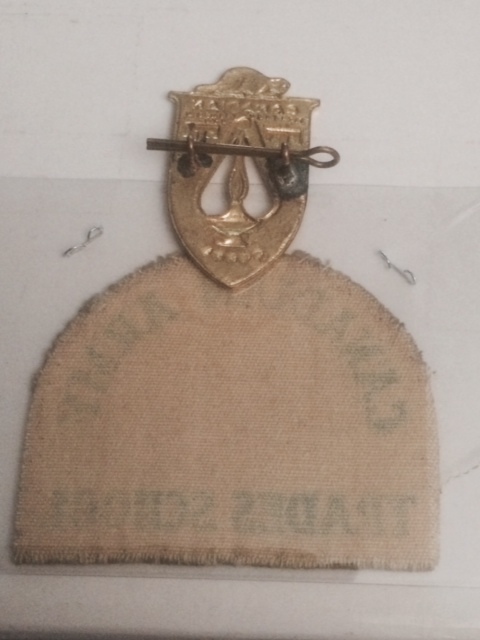 There is also a plastic version of this badge, very hard to find, the same colour as the Army Cadet plastic badge. Thanks guys,appreciated. 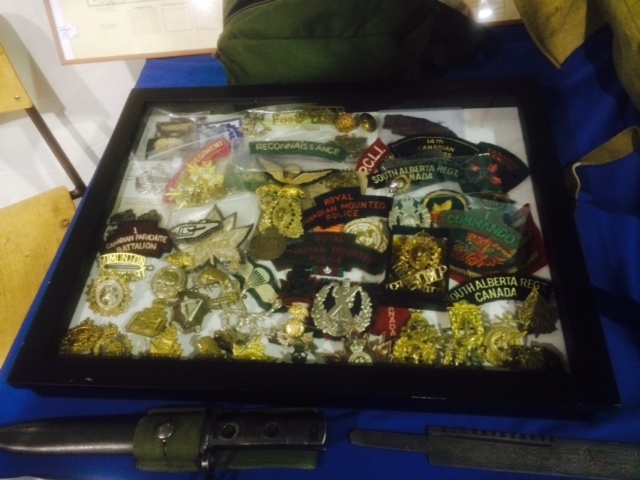 Just to let you all know,it is for a past serving CF member who is replacing his dads pieces. My brass example is Scully marked. 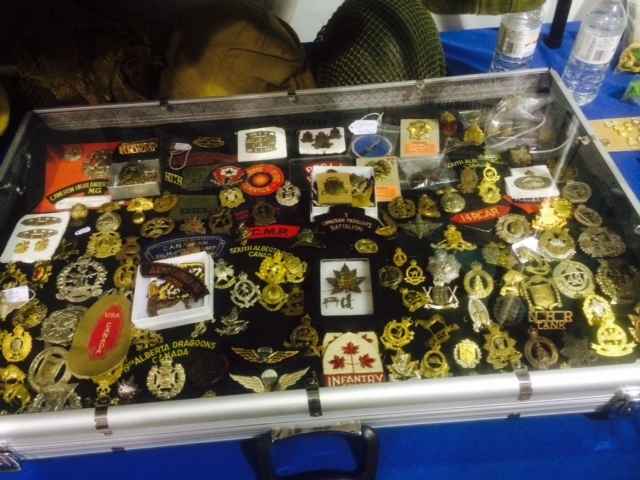 Is that a Sherbrooke Regiment QC cap badge I spy in your second pic? Just curious but is it lugged, slider or screw posts?